Thomas Smialek is Professor of Music & Integrative Arts at The Pennsylvania State University, Hazleton, where he teaches General Education courses for non-musicians. His research interests include the early history of the saxophone and the use of technology in music instruction. 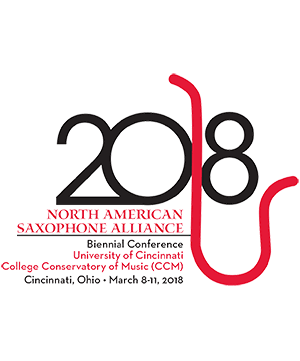 He has presented and performed at meetings of the North American Saxophone Alliance, The College Music Society, the Association for Technology in Music Instruction, the American Musicological Society, and the Twelfth World Saxophone Congress. Publications have appeared in The Saxophone Symposium, Saxophone Journal, Journal of Research in Music Education, and Journal of Technology in Music Learning. Smialek produced NASA’s compact disc The Saxophone Craze. He and L. A. Logrande developed the educational software Active Listening Tools for publisher CengageLearning’s music appreciation textbook Listening to Music by Craig Wright. He has been a member of The Saxophone Symposium’s editorial board since 1994 and was editor from 1997-2004. L. A. Logrande co-investigator L. A. Logrande is a composer of new music with performances throughout the US, Canada, France, Tai . . .